The BUFVC’s one-day course on copyright is essential for those needing to copy, use and provide access to existing third party content in their work, delivered by expert practitioners in the field. Presented by Alma Hales, Head of Intellectual Property at the Open University and Bernadette Attwell, former Deputy Head of Intellectual Property at the Open University, this course includes up-to-date practical advice and guidance, with the opportunity to have specific rights-related queries answered. the process of rights clearance. Attendees will also take away a free copy of the BUFVC’s latest copyright booklet – ‘Can I Copy This? 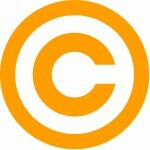 A Brief Guide to UK Copyright in Higher and Further Education‘. It provides a focused and accessible guide to media and copyright in UK HE and FE. Find out more here. Find out how to book this course here or send Sarah an email.